Logic4training’s oil fired boiler training course is for candidates aiming to become OFTEC registered as domestic light/commercial oil firing tank installation technicians. The course covers the practical elements, regulations and standards applying to domestic oil firing installation and energy conservation measures in buildings. The OFT105E course is best suited to experience installers. Candidates must meet OFTEC entry requirements 1,2 and 3. 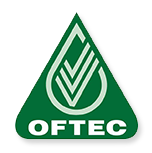 The OFT105E training is designed for installers who are aiming to become OFTEC registered as domestic light/commercial oil firing tank installation technicians.